October is here and as we get ready for halloween I share my favourite Halloween Homewares that I’ve come across, to spookify your home. While many Aussies refuse to embrace Halloween, I’m loving that more and more stores here are getting on board each year. Not only are there plenty of different Halloween decorations, there are also many Halloween homewares availble. 1. Cross Bones Black Skull Oil Burner from Dusk. 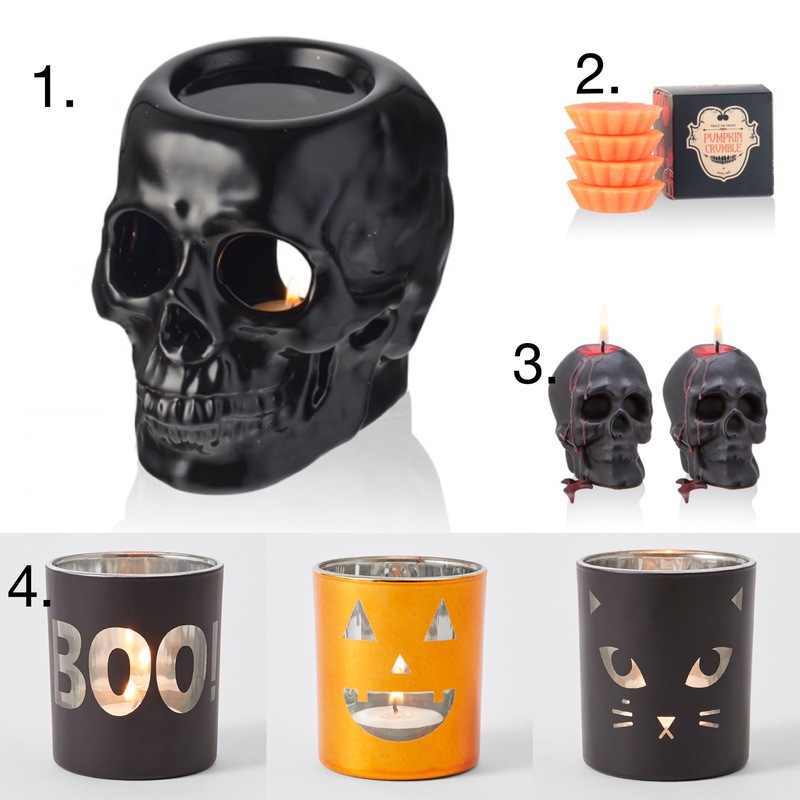 Dusk is my favourite go-to store for Halloween homewares and this year is no exception. I really love this oil burner. It’s unique and affordable at only $24.99. The best part is that you can continue using it after Halloween. 2. Pumpkin Crumble Melt 4 pack from Dusk. While you’re there, why not pick up some Pumpkin Crumble melts? I smelled these in store and they smell amazing! Just like a pumpkin pie. Burn time is 10 hours and they are $14.99 for a pack of 4. 3. Bleeding Skull 2 pack from Dusk. I have bought the ‘bleeding’ tapered candles from Dusk a few years ago for Halloween, but these skull ones are even cooler. The inside is red wax and when they melt down they ‘bleed’, hence the name. They are $24.99 for a set of 2. 4. Halloween Glass Tea light Holders from Target (Australia). I saw these tea light holders at Target recently and I thought they were so cute. There are 3 designs available (above) and are crazy affordable at only $3 each! 1. Skull Shot Glasses Set from Dusk. These shot glasses would be great as display pieces or as intended for shots if you’re having a Halloween party. Not into alcoholic shots? I suggest using them for esspresso shots to make your own Affogato (hot esspresso shot over ice cream) or for surving short black coffee even. Just remember to wrap a serviette around them if using them with hot liquids. They are $19.99 for a set of 4 or currently $15 with any purchase of $40 or more. 2. Witch Cauldren Mug by The Rogue And The Wolf from Beserk. I am loving this cauldren mug from Beserk. It’s so quirky and unique. There are a lot of great Halloween homwewares on the Beserk site. This mug is $24.95 and is quite large as far as mugs go, holding 400ml! 3. Halloween mug from Coles. I saw these in store and they are so cute! There are a few designs avaible other than the one pictured above (I can’t remember excatly, maybe a witch and ghost? ), they’re only $5 each in the Halloween section at Coles supermarkets. 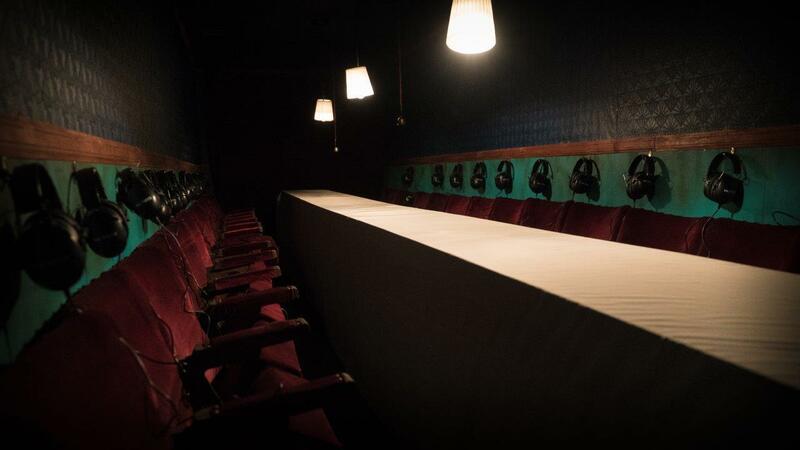 Note: You can save some money on your Dusk purchases by becoming a Dusk rewards member. I’m not sponsored by Dusk, but I am a member of their rewards program and I think it’s definitely worth it to save a few dollars per item. They also have memer only promotions often as well. 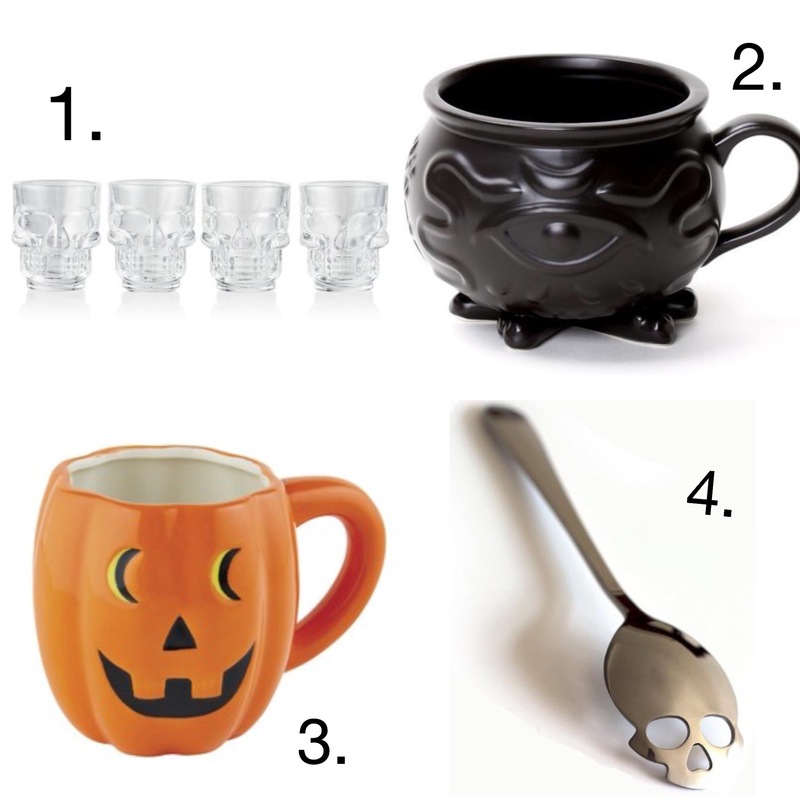 Do you like buying Halloween homewares? or do you just stick to regular decorations?